In what I jokingly call my spare time, I recently took time to send an impromptu email to some friends whom I thought might like to read some historically fascinating insider-information about the fall of the Berlin wall. I sent it after checking out a short article on the National Security Archive (Georgetown University) that referred to several just released documents (linked at the end of the article) that cut through all the media hoo-ha that’s recently been in the news about the fall of wall. These archival documents reveal from behind-the-scenes – mostly from European leaders but from some from American sources as well – how this world-historical change really occurred and why some leaders, like Thatcher, did not want it to. As often happens, I’d run across this info while researching something else entirely. Mostly when this happens, and it can happen many times a day to me, I resist the urge to go there – lest I get even further behind in the day’s work. But after perusing this info, I knew that some friends in the U.S. and overseas might like to see it. So out went my email. What I didn’t know – until they started replying in emails – was the fascinating stories and memories some had about those weeks when the wall was coming down. One guy, an American scholar, was at an International Book Fair in Frankfurt. Another guy, a British musician, was on tour playing in Berlin. And so on. Documents show accident and contingency, anxiety in world capitals. East German crowds led the way, with help from Communist fumbles, self-fulfilling TV coverage, Hungarian reformers, Czechoslovak pressure, and Gorbachev’s non-violence. 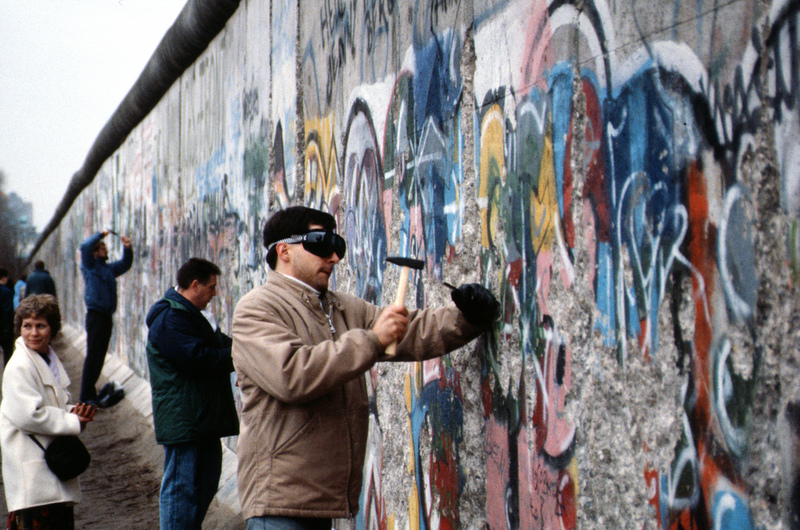 This entry was posted in INTERNATIONAL RELATIONS and tagged Berlin wall, fall of the Berlin wall, Georgetown University, National Security Archive by Charles Strohmer (c) 2014. Bookmark the permalink.